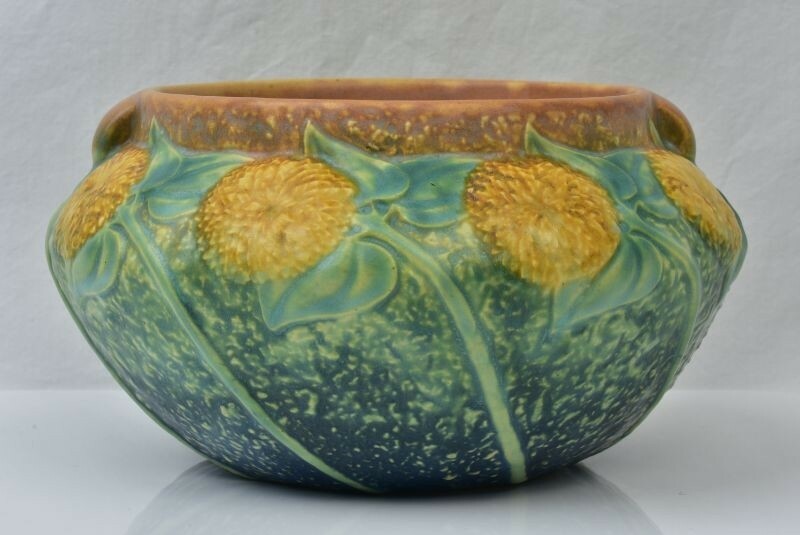 Roseville Pottery company introduced the Sunflower line in 1930 and is now still one of the most popular Roseville lines. These pieces are ringed with large yellow blossoms on bending stems that march in lock step at regular intervals. In descending order on the rough textured surface are brown, green and blue mottled with ivory or yellow. Pieces are unmarked or with black paper label. 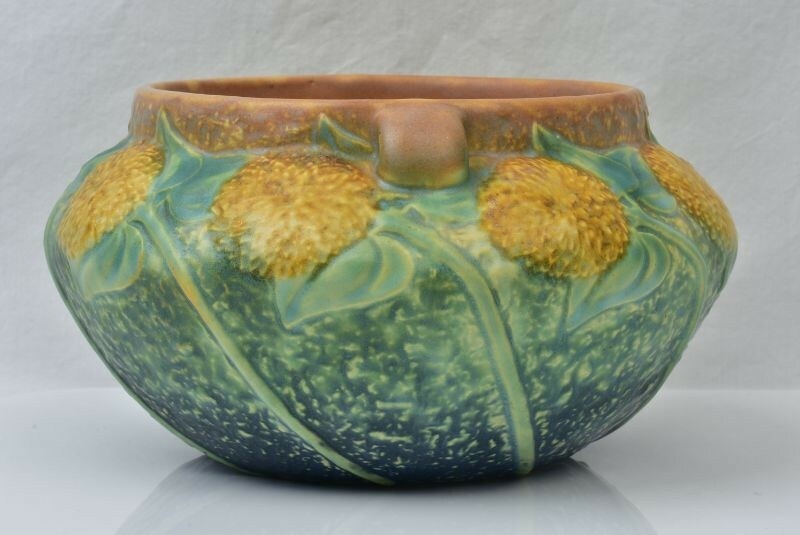 Here we have an excellent example of a Sunflower tall bowl or planter with the highly collectible blue bottom. 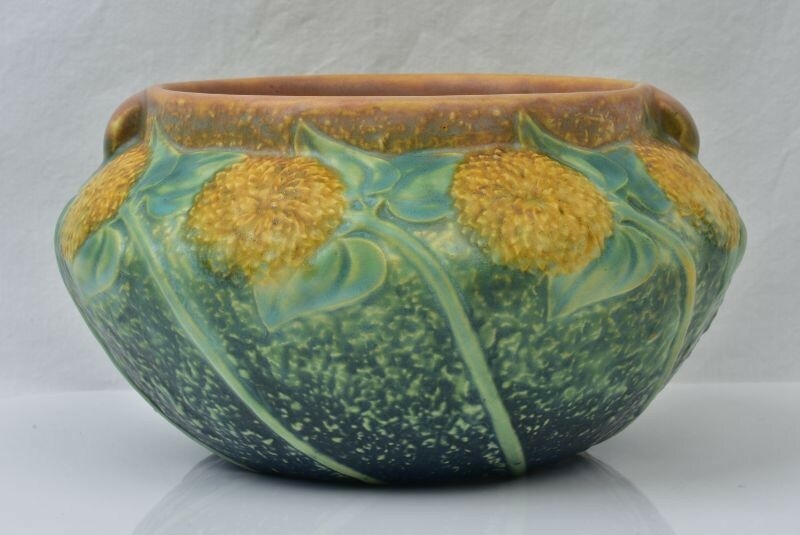 Wonderful piece from the Sunflower line. Perfect addition to any collection. Nice crisp mold with great color. 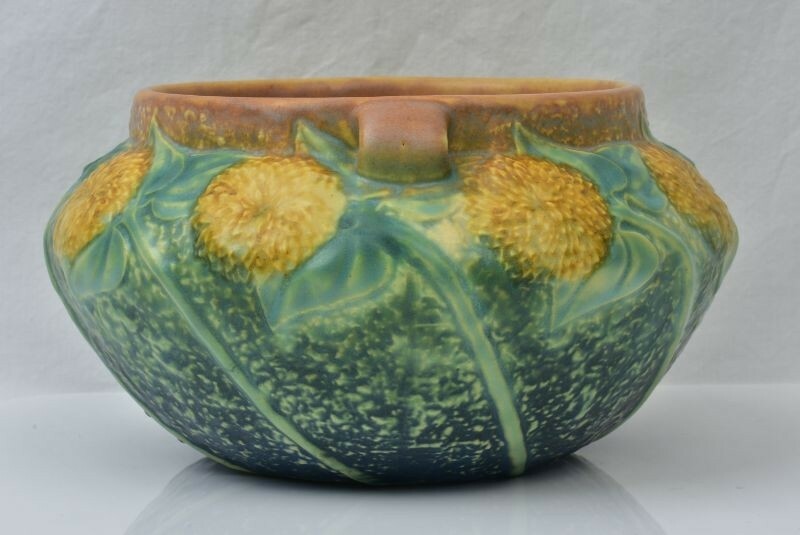 Outstanding piece in that it is undamaged, no chips, no cracks, no scratches to glaze. Little to no crazing. I cannot detect any repairs or modification. 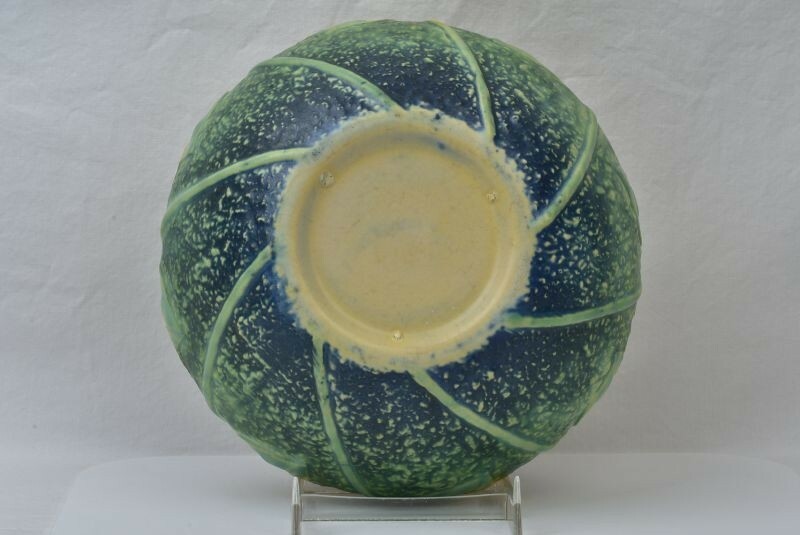 Any imperfections are from the firing/manufacturing process including glaze misses and glaze pops. Please review each picture carefully and contact with any questions. 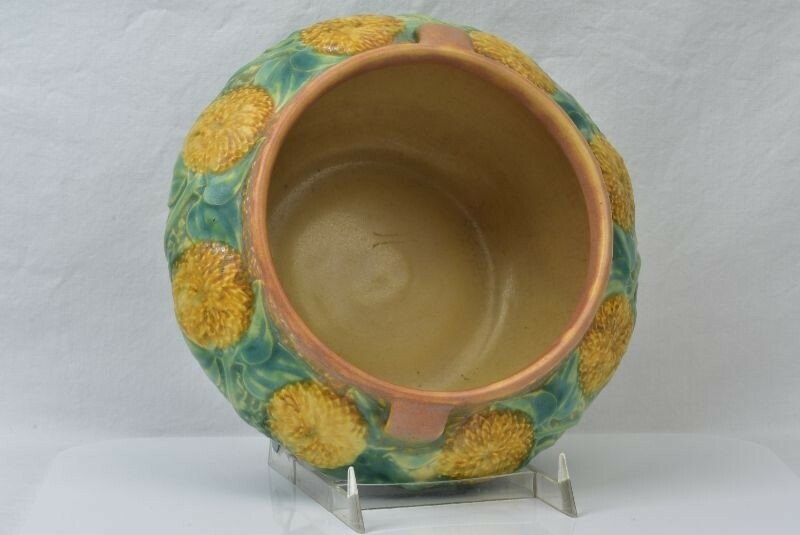 Unmarked but guaranteed to be original, vintage Roseville pottery. 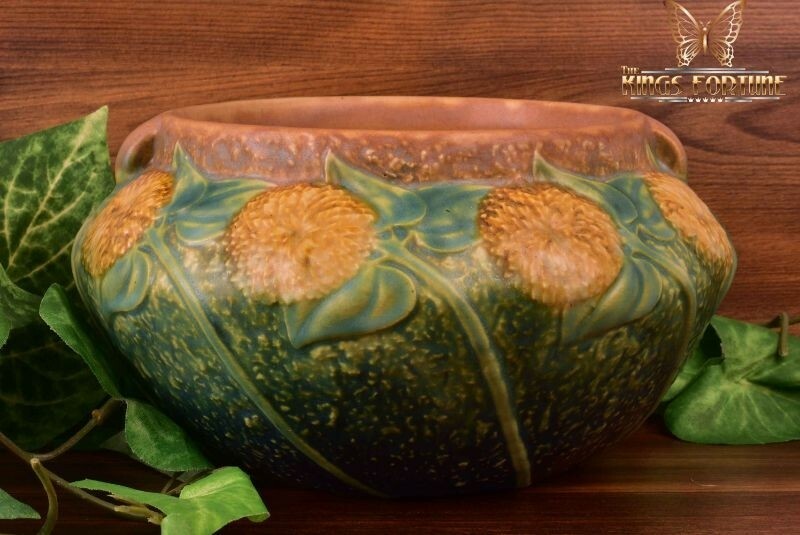 Authentic Roseville Pottery. All images are original and un-edited. 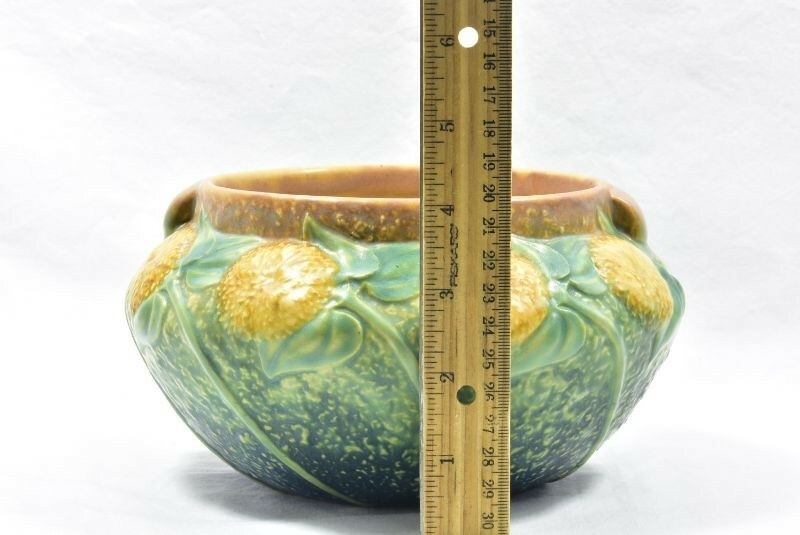 Height: 4", Rim: 5" , Base: 3 3/4"